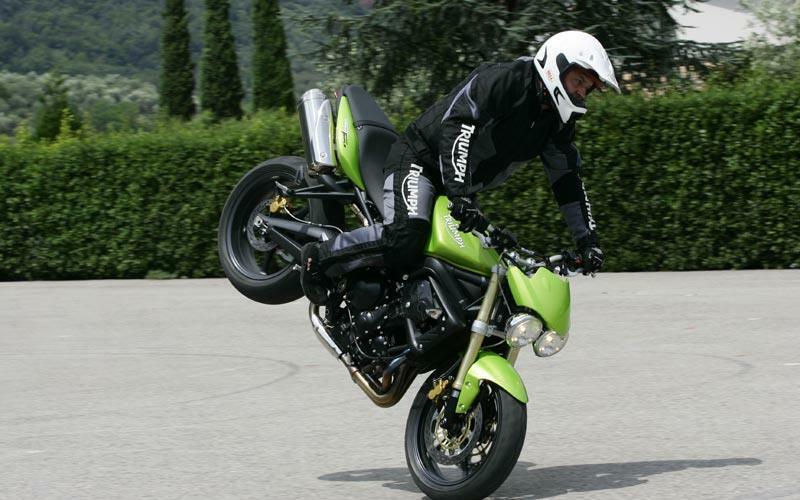 Triumph reckons the new Street Triple is an entry level model. If that’s the case, then it could attract a whole lot of people to motorcycling — and Triumph’s only problem will be persuading them to trade up to another motorcycle. After a day spent carving up and down the Alpine foothills near Lake Garda in northern Italy on the new Triumph Street Triple, I’m struggling to think of another motorcycle I’d rather have been riding. 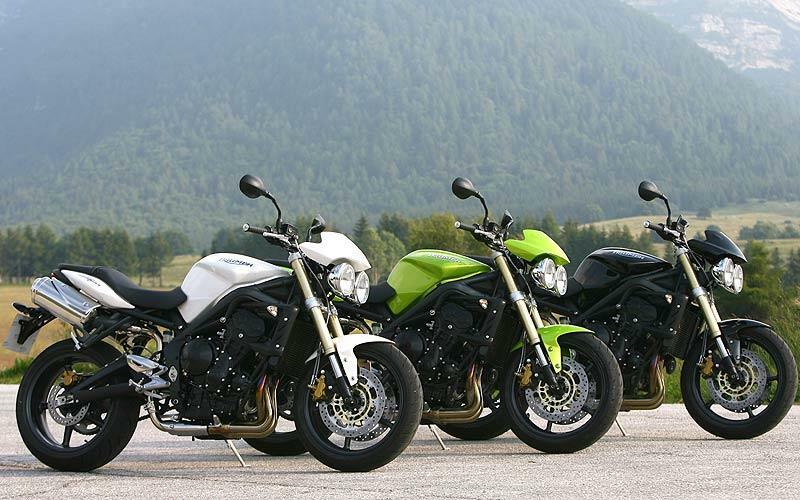 The Triumph blends the style and character of the Speed Triple in a lighter, more manageable but still thrillingly quick and sweet-handling package. 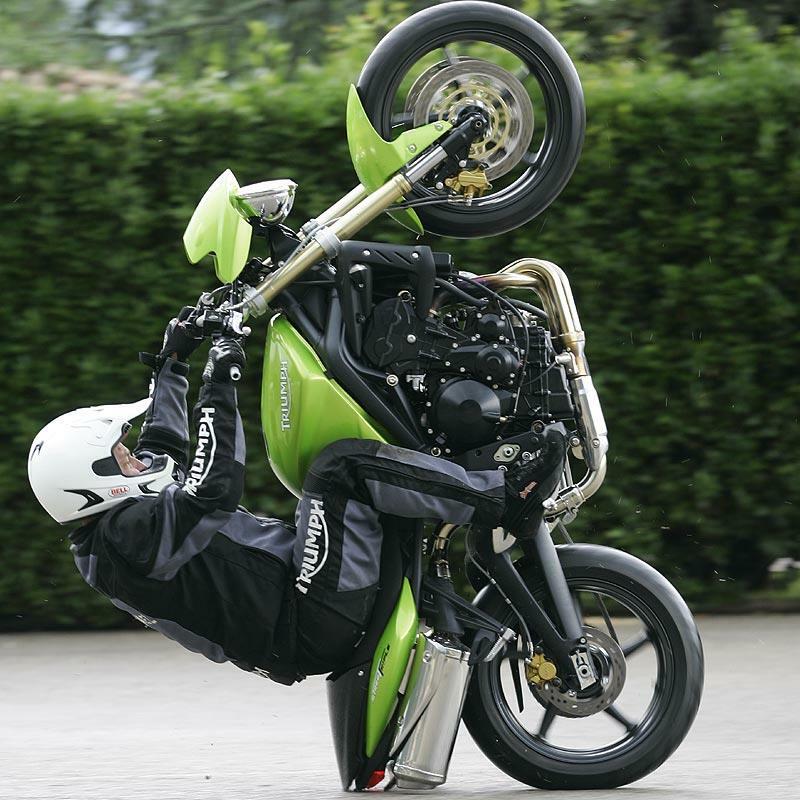 A stripped-down middleweight streetfighter has been on the cards ever since Triumph launched the Daytona 675 last year. The Street Triple uses essentially the same 675cc three-cylinder engine and aluminium frame, and looks like making just as much of an impact. Apart from the new exhaust and some tweaks to the injection system, the only engine-related change is a pair of softer camshafts, which boost low-rev power while dropping peak output from the Daytona’s 123bhp to 107bhp at 11,700rpm. For a middleweight the Triple was brilliant from low down. Throttle response was flawless, and when we reached the hills the motorcycle powered out of hairpins with less than 3000rpm on the clock, lifting its front wheel on demand to show that it’s almost as much of a juvenile delinquent as its big brother. It handles well, too, with well-judged suspension rates and decent brakes. My only slight problem in corners was that, being very tall (6’4”), I found the footrests slightly high and rear-set, due to their proximity to the low seat. In other respects the Triple’s respectably practical. Its mirrors were useful; the seat was reasonably comfortable despite being quite narrow. The 17.4-litre tank should generally give a 120-mile range, traceable on the Daytona-style digital display, which incorporates a fuel-consumption reading and lap-timer. It was a tough task for Triumph to match the Daytona 675’s impact with a naked follow-up, especially while keeping the price down to attract new riders to the marque. But in its own very different way the Street Triple is every bit as good. 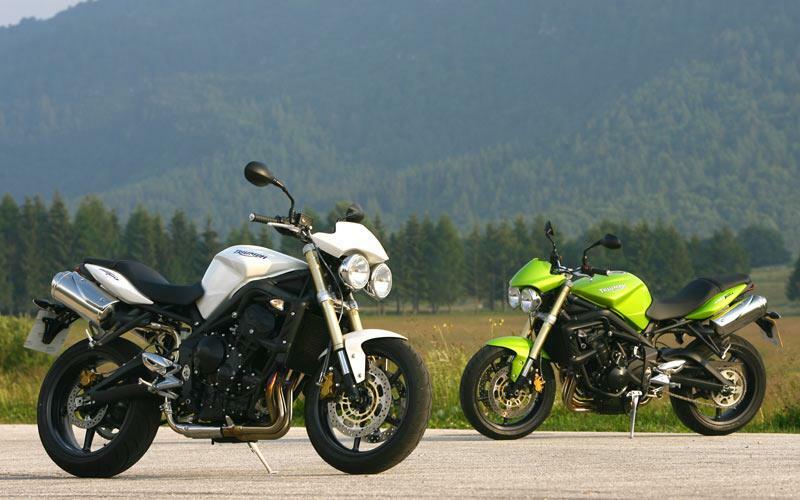 It combines the Daytona’s engine performance, chassis layout, character and light weight with the Speed Triple’s aggressive naked style to make a stunningly lively and agile machine that is easy to ride and brilliant fun. Combine that with a competitive price of £5349, and it’s hard to see the Triple being anything other than a hit.